Sunrise City, Riviera Point, The Everich 3 … are luxury riverside apartments in District 7 that you should know. Riviera Point apartment is located at Phu Thuan street, Tan Phu ward, District 7. The project is invested by Keppel Land Group from Singapore. Riviera Point District 7 is built on an area of ​​5.5 hectares with a total of 12 blocks of 39-40 storeys. The project has completed three blocks T3, T4, T5 with 549 apartments. With the size of the area stretching along the Ca Cam River, the Riviera Point luxury apartment promises to bring residents energy, comfort and space with cool green space. Riviera Point’s first phase has sold 100% of its apartments since 2016 and is home to multicultural communities from 20 countries. The View – Phase 2 of the Riviera Point project, offering the ultimate riverfront apartments. The project is also launching a promotion with a 5% discount on the sale price. This is an opportunity for homebuyers who are in need of both residential and investment projects in the South to catch up when the project is completed in 2019. The project has been constructed to the 35th floor. Sunrise City Apartment is located at Nguyen Huu Tho street, Tan Hung ward, District 7, Ho Chi Minh city. The project is owned by NovaLand. Sunrise City Apartment District 7 has a size of 51.000m2, including 12 block apartments with 31-35 floors with a total of 2,200 apartments. 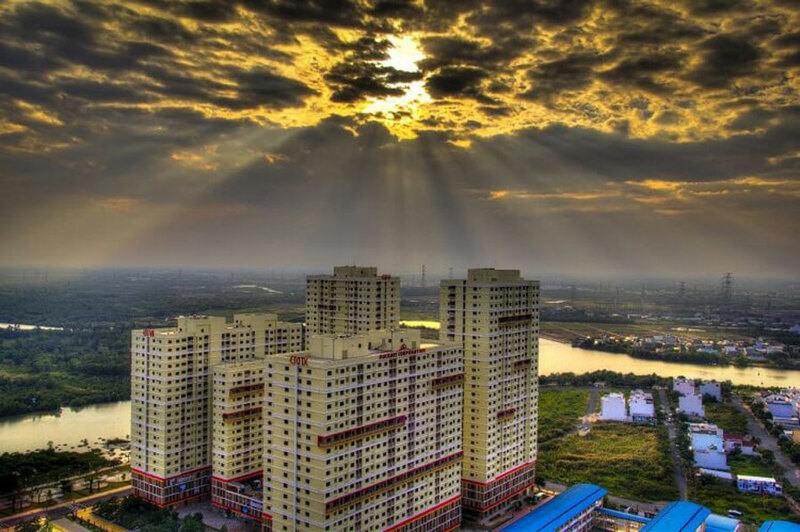 Sunrise City District 7 is one of the high-end apartment projects built along the river with charming scenery. 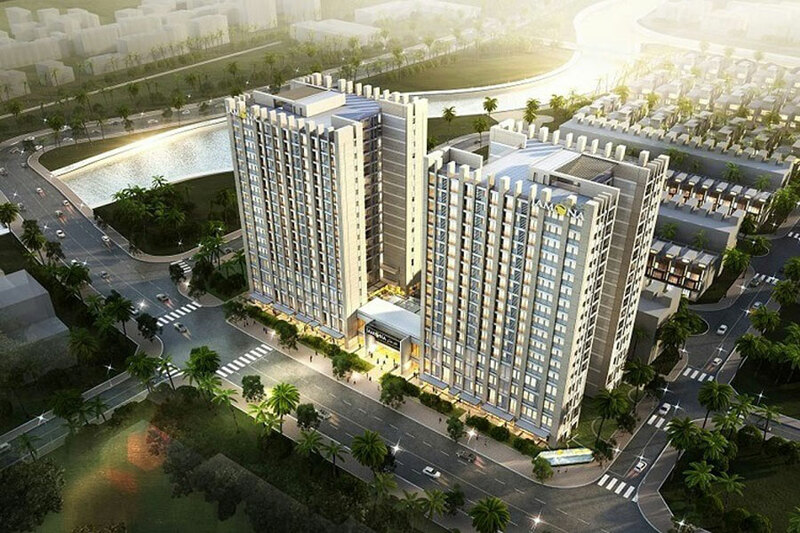 The Golden Star is the third project in the high-end apartment segment in District 7 of Hung Loc Phat. This project is located at 72 Nguyen Thi Thap, Tan Hung Ward, District 7, Ho Chi Minh City. Location The Golden Star District 7 is considered one of the prime locations of Saigon South. The Golden Star riverfront apartment has an area of ​​9,469sqm including 3 blocks of 20-27 storeys, 478 apartments with a total area of ​​50-85sqm. Situated on the edge of the Kenh Chan River, The Golden Star District 7 inherits beautiful river views, wide views and fresh air. In addition, 478 apartments in The Golden Star are arranged, arranged intelligent items to help residents to pick up the sun, natural wind. Bring a living space that is airy, comfortable and relaxed for the owner. 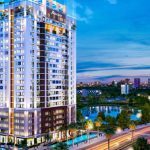 The Everrich 3 luxury apartment located on Phu Thuan street, Tan Phu ward, District 7, Ho Chi Minh city. HCM. The Everrich 3 by Phat Dat Real Estate Development Joint Stock Company. The Everrich 3 District 7 consists of 2 blocks with 26 floors, is a high-class apartment along the river adjacent to Phu My Hung International Commercial and Financial Center, District 7. The apartment is located along the Ca Cam River peaceful, winding, flowing smooth, swept from southwest to northwest. With open design, nature is spread out endlessly. Residents of The Everrich 3 District 7 will enjoy beautiful views of waterways and trees. River Panorama apartment is located at Hoang Quoc Viet street, Phu Thuan ward, District 7, Ho Chi Minh city. This is a project invested by An Gia Investment and development. 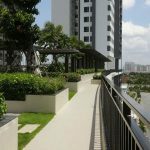 River Panorama apartment is located adjacent to Phu My Hung urban area. Residents will inherit the most modern synchronous facilities in the region. The River Panorama project was started in 5/2016, with a total project area of ​​63,000m2. The scale of the project consists of one block of 35 floors, with a total of 390 apartments. Jamona Heights apartment located in front of Bui Van Ba ​​street, Tan Thuan Dong ward, District 7. 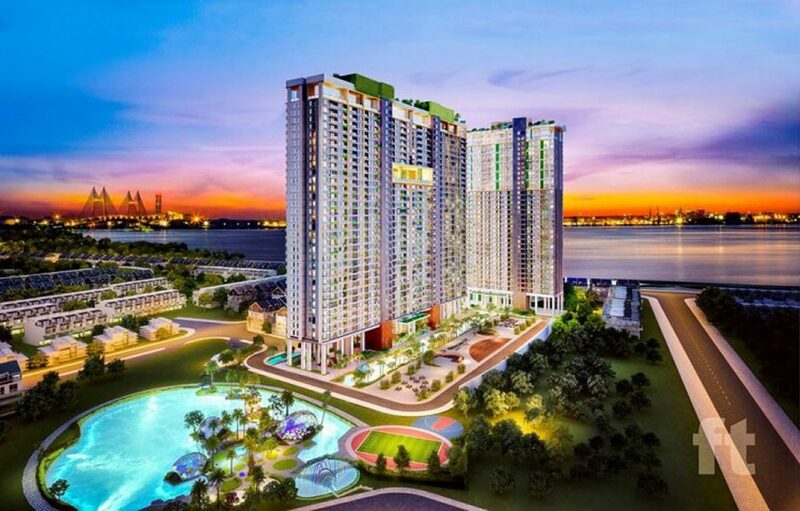 The project is invested and developed by Sai Gon Thuong Tin Real Estate Joint Stock Company (Sacomreal). Jamona Heights District 7 has a total area of ​​2,883.65 sqm, belonging to the Jamona Golden Silk Project. The scale of the project consists of 2 blocks with 17 floors. With a view of Cau Kinh River, Ben Ngua Canal and Phu My Bridge, Jamona Heights stands out as a lighthouse shining south of Ho Chi Minh City. The highlight of the riverside residential area of ​​District 7 Jamona Heights is the internal park – waterfront park is arranged in harmony with the residential area. 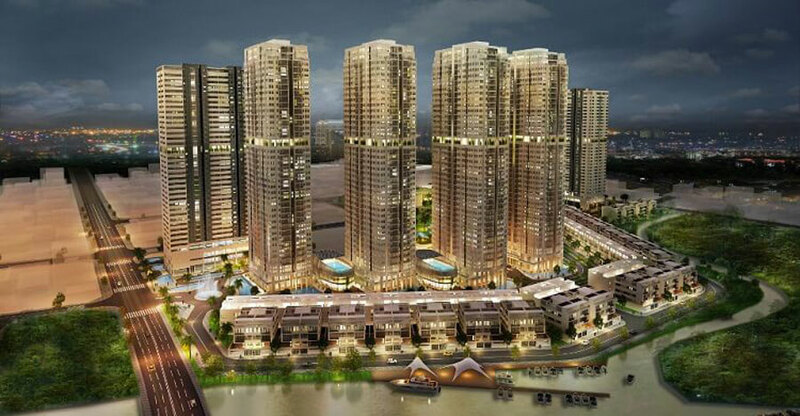 An Gia Riverside is located on Dao Tri street, Hoang Quoc Viet street, Tan Thuan ward, District 7, Ho Chi Minh city. This is one of the projects located in beautiful Saigon South. It only takes a few minutes to enjoy Phu My Hung’s off-site facilities. An Gia Riverside District 7 is invested by An Gia Real Estate Joint Stock Company, cooperated with Coteccons contractor and Apave Group (France) to manage the project and supervise the construction. 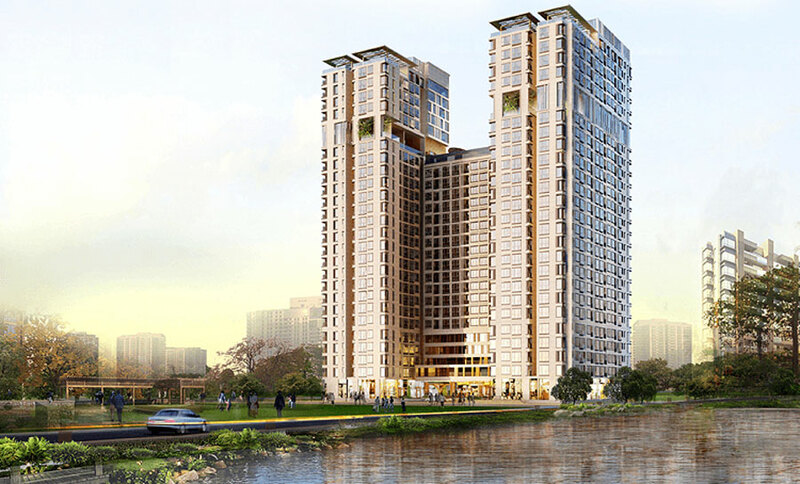 An Gia Riverside apartment is built on the campus of 2.658sqm. The floor area is 26,019sqm, with construction density only 24%. The scale of the project consists of 1 block with 25 storeys, with a total of 246 apartments. An Gia Riverside District 7 has the strength of being surrounded by the biggest bend of the Nha Be River, river width up to 1.5Km. The privilege that this natural gift has brought An Gia Riverside a fresh air fresh. Residents here will be breathing and harmonious with cool air all year round. Era Town is located at 167 Pham Huu Lau Street, Phu My Ward, District 7, Ho Chi Minh City. The project is invested and developed by Duc Khai Corporation. Era Town District 7 is built on a 108,091.6m2 campus. Of which construction density is only 34.46%. Scale Era Town project consists of 6 blocks high 24-34 floors. There are 1block commercial and 5block apartments, total number of flats is 1,774. 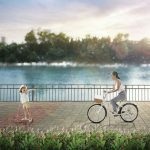 The Ere Town project stands out with the beauty of the river, creating a foothold in feng shui for residents living in the apartment project. Especially, thanks to the three sides of Phu Xuan River, Rach Doi River and Rach Ong Do River, the climate here is very harmonic and does not cause unpleasant feelings of the sunshine of Saigon. 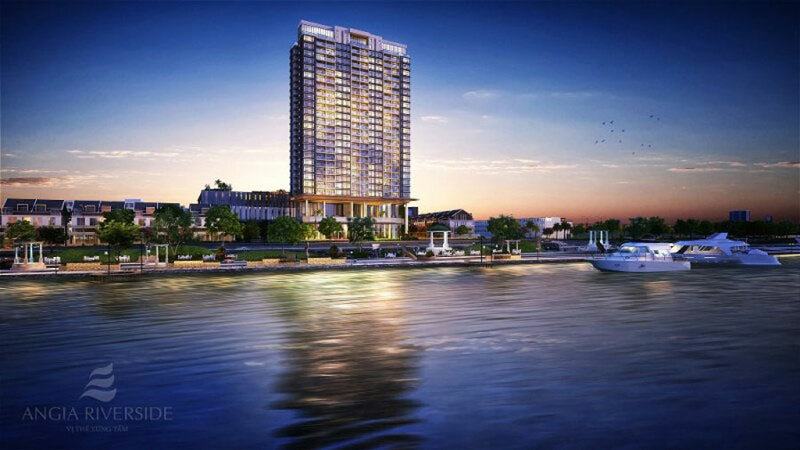 You are reading the article 8 high-end apartment projects along the river District 7 you should know in the Real Estate category at https://realestatevietnam.com.vn/.Any information sharing, feedback please email to info@realestatevietnam.com.vn, Hotline 0909890897 (24/7). Why is The View – Riviera Point interested in South Saigon? 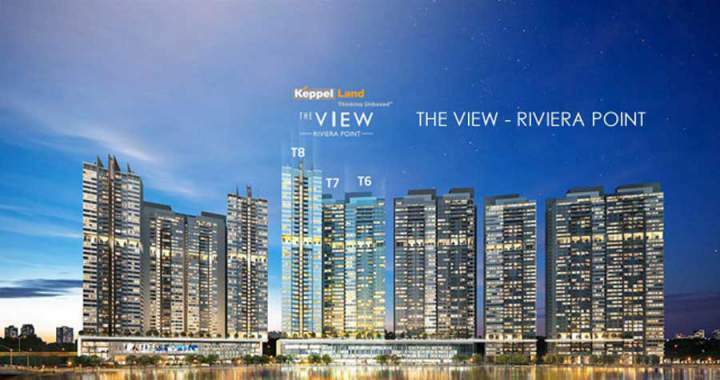 What are the highlights of The View Riviera Point District 7?